They said they may have approached Sergei Skripal's house by chance, but did not know where it was located. They had stayed less than hour in Salisbury, they said, because of bad weather. Britain has said the two suspects were officers with a Russian military intelligence agency known as the GRU, and were almost certainly acting on orders from high up in the Russian state. The Kremlin has repeatedly denied any involvement in the case. 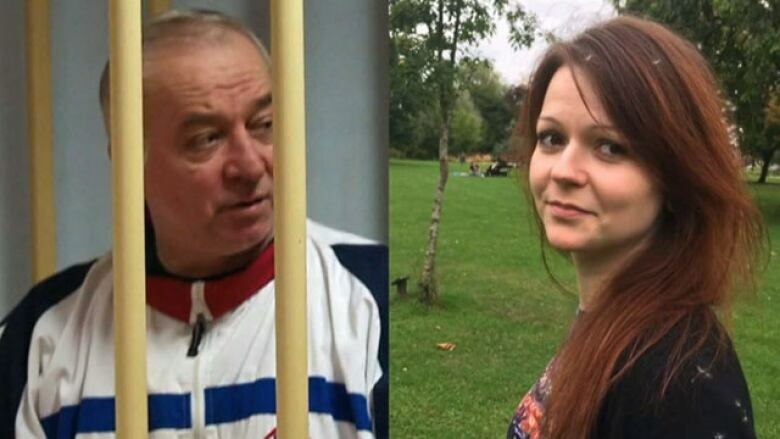 Skripal — a former Russian military intelligence colonel who betrayed dozens of agents to Britain's MI6 foreign intelligence service — and his daughter were found slumped unconscious on a bench in Salisbury in March. They spent weeks in hospital before being discharged. The Skripals' poisoning triggered a tense diplomatic showdown. Britain and more than two dozen other countries expelled a total of 150 Russian diplomats, and Russia kicked out a similar number of those countries' envoys. The affair returned to the headlines in July when a woman near Salisbury, Dawn Sturgess, died and her partner, Charlie Rowley, fell ill after Rowley found a counterfeit bottle of perfume containing the Novichok nerve agent and brought it home.